In the fifth pAsuram, parAnguSa nAyaki tells her parrots “Wherever you go and see him, whether it is paramapadham or dhivya dhESams, ask him if this is how his compassion is”. nungatku yAn uraikkEn vammin yAn vaLarththa kiLigAL! Oh parrots who were raised by me! I am telling you; emperumAn is riding periya thiruvadi whose eye is staring at the enemies, has arrived near me who is having the sin to be separated from him now and has captured my heart; if you go and see emperumAn, the great benefactor, who is like a distinguished kalpaka tree, who is having reddish eye, a blackish-form and very reddish lips, in any location/state such as para, vyUha, vibhava etc., you ask “is this act of capturing her heart and making her feel lonely, apt?”. nugatku yAn uraikkEn – They too are sorrowful and being ahead of her; is this something I have to tell you [You are already working to go to emperumAn on my behalf]? My sorrow makes me tell you this. nugatku yAn uraikkEn – This is not to be told to you; I should not be the one saying this. While the parrots already are ready to eliminate my sorrow, I am talking as if I am someone else who doesn’t understand that. vammin – For you who are thinking “How will we make her sustain herself?”, I will give you the means, come on. yAn vaLarththa kiLigAL – For you who are born to me [like my children], is there time to be prideful like his associates? Were you born to be prideful like this! nungatku – For you who remain as in SrI rAmAyaNam kishkinthA kANdam 5.18 “Ekam dhu:kham sukham cha nau“ (sharing sorrow and joy). yAn – I who have placed all my burden upon you. uraikkEn – I am not telling something you don’t know; I am telling because of my sorrowful state. yAn vaLarththa – You who were raised by me by feeding sweet rice with milk and ghee. kiLigAL – As said in thirunedunthANdagam 14 “vaLarththadhanAl payan peRREn” (I have attained the purpose of raising you), I could listen to his divine names from your mouth; and because it leads to more sorrow as said in “kaNNan nAmamE kuzhaRik konRIr” (you are killing me by reciting the names of krishNa). I am looking to send you as messenger to him. vem kaN puL … – Coming on the bird which has angry eyes. Explaining the eyes to be angry due to his eliminating the hurdles while coming; alternatively the eyes are said to be angry due to the cruel way of separating emperumAn from her and carrying him away as said in SrIvishNu purANam 5.18.30 “akrUra: krUra hrudhaya:” (cruel-hearted akrUra). vem kaN puL Urndhu vandhu – Like a prince who would come riding his ceremonial elephant to capture the girl he likes. AzhwAr first sent a messenger to emperumAn saying in thiruvAimozhi 1.4.6 “aruL Azhip puL kadavi avar vIdhi oru nAL” (taking a stroll on the street where she lives, on garudAzhwAr who is an ocean of mercy, at least one day), and he obliged. vinaiyEnai – I have committed sin not to have dual heart like his; I am not having one heart to be finished while in union and another to sustain while in separation. nenjam kavarndha – emperumAn who enlightens the mind of people has now destroyed my heart! Being a sAragrAhi (one who is capable of extracting the essence) he took the essence and left behind the residue; like those who carry the garland and leave behind the container. AzhwAr’s heart is full of fragrance [comparing it to a flower]; he himself said in thiruvAimozhi 4.3.2 “pUsum sAndhu en nenjamE” (my heart is the sandalwood paste you apply). 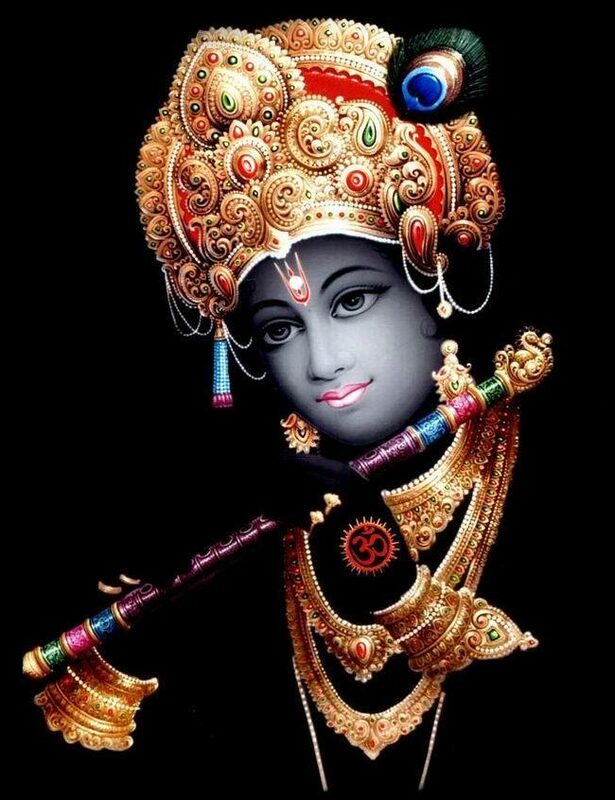 sem kaN karu mugilai – His posture of looking with comforting eyes and presenting his divine form fully. Alternatively – explaining the completeness emperumAn acquired after uniting with parAnguSa nAyaki. Another explanation – informing that he was leaving, he stood looking with comforting eyes ready, to shed tears [like a cloud]. seyya vAy – The smiling mouth which spoke many hundreds of words. sezhum kaRpagaththai – Distinguished kalpaka tree; here the distinguishing factor of emperumAn from a desire fulfilling kalpaka tree is, emperumAn himself would give, out of his own desire. kalpaka tree would neither bestow itself nor desire to help voluntarily; but he is capable of giving himself. He who gave himself in such a manner that, even when I am separated from him, he gave me the ability to bestow the two realms (spiritual and material) to whoever I desire to. enguch chenRAgilum kaNdu – Already said “vAnavar kOnai” (lord of nithyasUris). Hearing that a messenger is coming, he would leave the grand assembly and enter the private quarters [in paramapadham]. Alternatively – you enter [and search] all the places where air will enter; that is para, vyUha, archAvathArams; all places where he is hiding as said in bruhadhAraNyaka upanishath “yamAthmA na vEdha” (The AthmA who is unaware of paramAthmA). As said in SrI rAmAyaNam sundhara kANdam 1.40 “anEnaiva hivEgEna gamishyAmi surAlayam” (If I don’t find sIthAp pirAtti in lankA, I will reach svarga (heaven) with the same speed). You cannot return saying “he is not seen in paramapadham”. idhuvO thakkavARu enminE – Wherever he is, you words should be the same. Does it fit your mercy to steal the heart of others and keep yours as well? If we say that he does not have AnruSamsyam (mercy), that means he himself does not exist. As [his] compassion which is part of such mercy is not seen by us in us, tell him that he does not have that. For the one who is boasting of his compassion, there is nothing more damaging than this; so tell him this only. This entry was posted in thiruvAimozhi, thiruvAimozhi 6th centum on May 7, 2018 by Sarathy Thothathri.